Congratulations !!!! You have found the best Jamaican Rum Cake for sale. 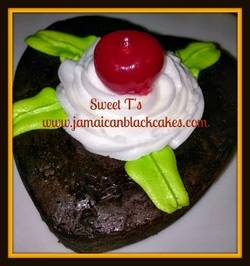 Order a rum cake filled with fruit that has been soaking in Jamaican rum and sweet red wine for 8-12 months. Get prices and sizes for the only Authentic Jamaican Black Cake site online. Every cake is made to your specific taste. Customize every aspect of your cake experience so that you have the perfect tasting and looking rum cake. Fresh made cakes are the only way we do business. We never send you old black cakes. Choose Smooth and velvety textured cake or chunky with plump raisins and cherries through out. Our rum cake recipe actually looks dark. This is the way a real black cake should look. You can be proud to send this cake as a gift. Don't wait for Christmas or the Holidays, order any day of the Year! Chef Sweet T is a Professionally trained Jamaican born Chef who loves making this rich Caribbean dessert available to everyone. Send a deluxe rum cake gift baskets for a family member or friend. We can accommodate Sugar Free and Gluten free black cakes as well. Plums, Raisins, Cherries, Citron, Currants and citrus peel. These fruits are soaked in imported Jamaican white rum and red wine for up to a year so that the fruits are completely soaked in the flavors from the rum and wine. This process makes the fruit mixture ﻿perfect for your cake. The fruits are the most important role in traditional Jamaican fruit cake after all. 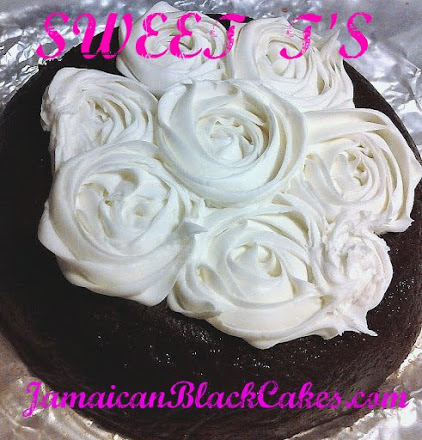 Great size Jamaican rum cake for small dinner parties. Every cake will be made to order. We will customize every thing about your rum cake. From the size, to the color, amount of alcohol and texture. Try your black cake with some rum vanilla glaze or plain white royal icing. Large 8 inch extra moist Jamaican fruit cake. Send this cake as a gift to someone you care about. 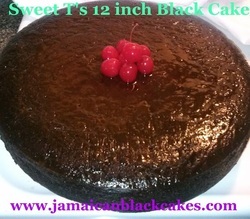 Beautiful and scrumptious 9 inch Jamaican black cake. Chose your favorite white icing free with every cake ordered. 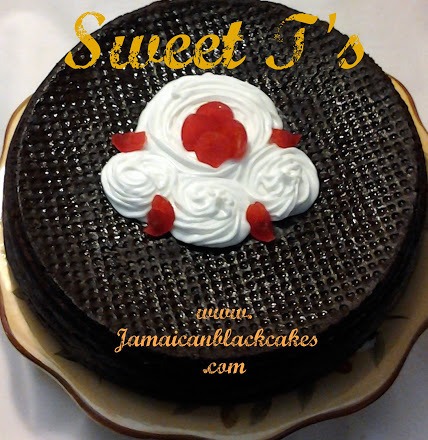 Buy a flavorful 10 inch size Jamaican rum cake. Great idea for Birthday Parties. Serves over 40 people. This size will make for a perfect Jamaican wedding cake.